The Apple Watch gets a lot of coverage here at Smartwatch.me, and that has to do with the fact that iOS, Apple's mobile OS, is one of the most popular operating systems on mobile in the world. It is the only rival to Android (if you consider that Windows Phone hasn't been very popular; just consider that Microsoft is now giving away a free Microsoft 950 with the purchase of a 950 XL smartphone - it's a BOGO deal). And Apple's dominance in profit in mobile is what keeps the company at the forefront of all that happens. Apple's profit, even in a time in which other companies such as Samsung are out-innovating the fruit company, is what makes Apple a hard company to deny in tech. Well, the Apple Watch has officially turned 1 year old as of yesterday, and it's normal for analysts to look back on the Apple Watch's birth and compare it to the iPhone that started a mobile revolution. Analysts seem to compare the smartwatch to the smartphone, and, though this is misguided, it's actually a good thing in Apple's case. For Apple has done what many view as impossible: Apple has sold twice as many smartwatches as iPhones in its first year: the first year's iPhone sales garnered 6 million sales, whereas the first year's Apple Watch sales garnered 12 million -- an impressive feat for any company, let alone any company's smartwatch sales. 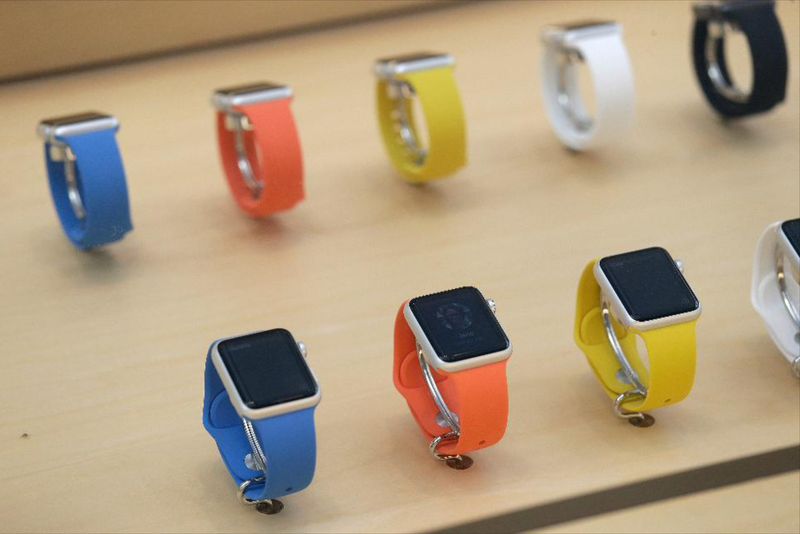 As with the iPhone, Apple has taken steps with the Apple Watch to make it successful. The company has released the Apple Watch globally, and the company has now expanded its Apple Watch Hermès collection to 17 new cities as part of its continued reach into its home country. Apple has also expanded the color selection of its exclusive Hermès collection, all while adding new nylon straps for the Apple Watch Sport and intermediate Apple Watch models. The smartwatch is still a growing market, and Apple has outdone itself to date, but there's no guarantee that Apple's lucky streak will continue. Apple Watch rumors are stirring in the wild, and some of them make sense if Apple intends to continue the popularity of its Apple Watch.